TJ Formal Dress Blog: Take our Prom Survey! 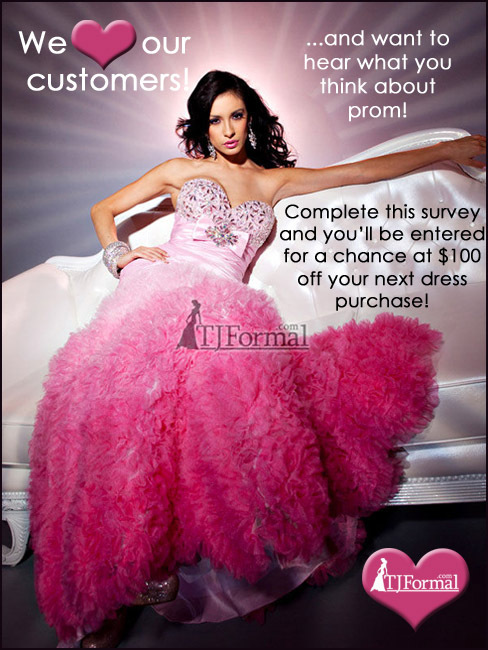 We love our customers and want to hear what you think about buying your prom dress. Take our survey on Facebook and you'll be entered for a chance to win $100 off your dress!